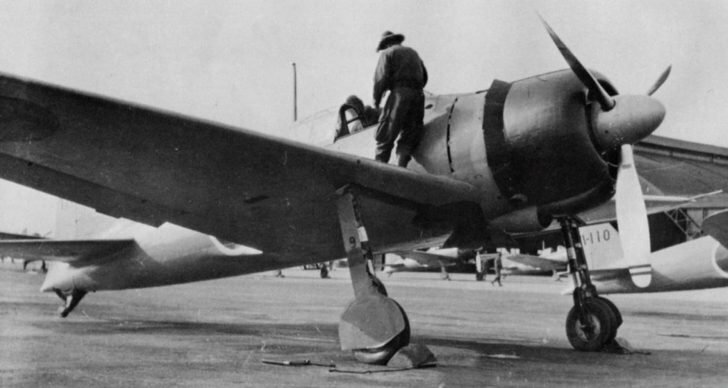 Maintenance of a Japanese Mitsubishi A6M Zero fighter at the airport. The Mitsubishi A6M Zero is a single-seat all-metal ship-based fighter-interceptor of Imperial Japan. It was developed in the aviation design bureau of the Mitsubishi plant, it was mass produced in the years 1940-1945, in total a little less than 11 thousand units entered service in the Navy of Imperial Japan. Assigned to the adoption of the Navy, the battle cipher “0” indicates the last digit of the adoption year – 1940 or 2600, according to the Japanese calendar. Perhaps the most famous aircraft in the Pacific theater of the Second World War.